Yes, it is that time of year again! If you are like me, and I know some of you are, making my own Holiday Cards is something I always want to do, but suddenly it is December and off I trot to purchase some fine looking cards made by other artists. Do not be like me! Get started on making your own cards for those special folks in your life now while there is still time. 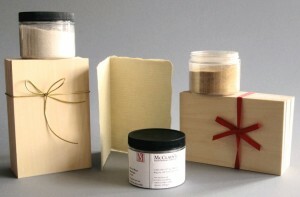 McClain’s is a great spot to find supplies for your card making endeavors. McClain’s 4” x 6” Shina Plywood is currently available in bundles of six for $8.78, a perfect size for making cards. Add a little shimmer to your print with Mica, available in Fine, Medium, Course and Rough as well as Silver and Gold. Mica (or Konaumno) is easy to use. Either apply it after you print with a soft brush or sprinkle it on. You can even incorporate it into your ink before you print for a subtle iridescent effect. If you want to just apply the mica to a particular part of your print, use a stencil to separate the areas and apply with a brush. And just to sweeten the pot, all Mica is currently 10% off! McClain’s also has blank Washi Cards made with 100% Kozo. These deckled cards are beautiful to print on and the paper is sized, so it will accept both water and oil based ink very well. Washi Cards come in 4”x 6” postcards or 6”x 8” foldable cards in light natural or sea grass, a great complement to the 4” x 6” Shina Plywood blocks. Envelopes for Washi Cards are also available. Visit the McClain’s Sale Page to take advantage of these discounts and more. Happy Printing! Welcome Carolyn Corl and Daniel Jasa to the McClain’s team. Both joined McClain’s at the beginning of October and we are just delighted to have them. Carolyn is a recent graduate of the University of Puget Sound in Washington where she majored in Printmaking. Carolyn apprenticed in India with a traditional woodblock printer learning how to print textiles. 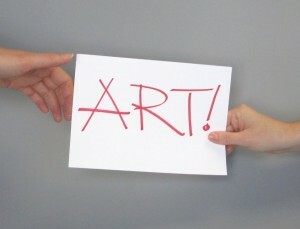 This past summer she was an intern at the Sitka Center for Art and Ecology on the Oregon coast. Daniel has his MFA in Printmaking from Northern Illinois University and previously obtained his undergraduate degree at the Pacific Northwest College of Art (PNCA) in Oregon. Daniel has made prints at the Frans Masereel Centrum in Belgium and was a monitor at the Art Students League of New York before returning to the Pacific Northwest. Daniel is a Print Arts Northwest (PAN) board member and is actively involved with the printmaking studio Atelier Meridian, where he hosts a weekly open studio session and occasionally teaches a workshop. His work is currently on display the Portland Art Museum’s Rental Sales Gallery and you can always view Daniel’s work at his website. 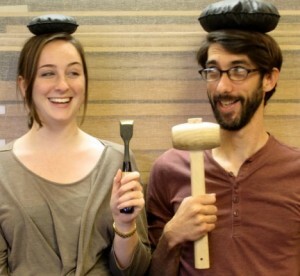 We have decided to step away from intaglio and work on expanding our relief printmaking supplies. Because of this, McClain’s is discontinuing the Gamblin Etching Ink, but the good news is that our remaining stock of Gamblin Etching Ink and modifiers is 20% off! So if you or a fellow etcher in your life are looking for some beautiful etching ink, take advantage of our Gamblin Etching Ink Sale. Of course Gamblin Relief Ink will still be available through McClain’s. McClain’s is very pleased to announce that we are carrying Mary Brodbeck’s DVD titled Becoming Made. This beautiful documentary captures the inspirational story of Brodbeck’s relationship with Moku Hanga, a traditional Japanese style of woodblock printmaking. 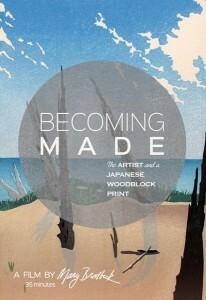 Becoming Made features commentary from many prominent artists in the Moku Hanga community (Karen Kunc, Richard Steiner, April Volmer) as well as footage of Brodbeck with her mentor in Japan; an overview of Brodbeck’s carving and printing process; and examples of both contemporary and historic prints. 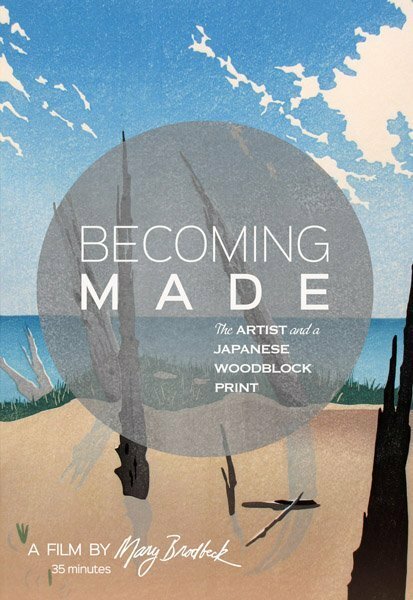 Becoming Made is not an instructional film but rather an overview of Moku Hanga and one printmaker’s fulfilling journey with this printmaking style. Click here to find out more about Becoming Made. 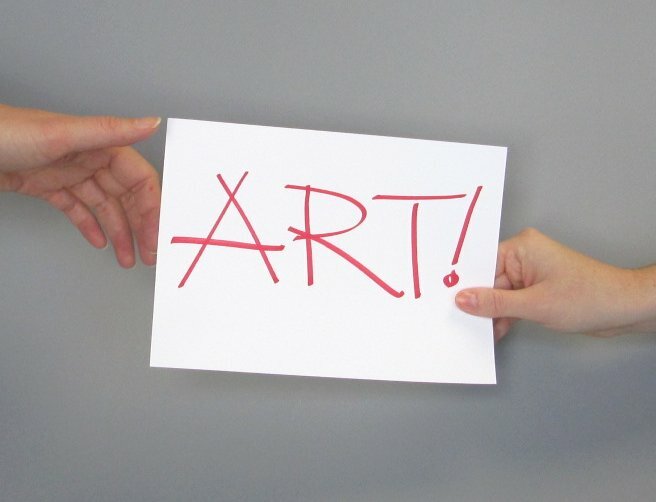 Hey you hard working artists, show off your prints and join the McClain’s gallery. McClain’s is always happy to put images of your prints on our online gallery and in our annual catalog. Space is limited in the print catalog, but there is always room online. There is still space in our 2015 hard copy catalog. No compensation is given but there is recognition and no cost to you to submit.